• One of the more important parts and choices of what you need to do will be the colors of the walls you can choose as well as those of your ceilings and other smaller colors. You can make use of the softer hues and colors out there to make studying and sleeping far easier and free of distractions. • You can keep your kids art around or some family oriented photos as well to fill the empty space on your walls, as well as possibly the ceilings too if you have what you think will work. You can work on this by yourself or you can combine your cleaning efforts by asking your kids about what they would like as well. • You could get some chalkboard paint to make an art corner where the kids can draw and paint without worrying about making a mess. It will take some painting and thorough house cleaning, but in the end it will be a job well done and your kids will have a chance to enjoy a creative outcome you can rely upon. • There is a great way to make your very own reading corner or even a gaming area, but you will still need to work hard on it if you want to make it last a long time. Make sure you have a nice set of seating spaces to work with and it will pay off quite nicely. • You may need to consider using a set of organizers for potential school supplies, textbooks and so much more. Kids will often figure out the details themselves, but you can help them out to make cleaning after them easier to handle as well. Boxes for toys, as well as other organizing items will make it fun instead of some unbearable chore. • Improving the storage capacity of your home and using a mirror to create the illusion of space will make things easier to handle. This will also serve to allow the kids to be able to see themselves and to have fun while you work on things together. 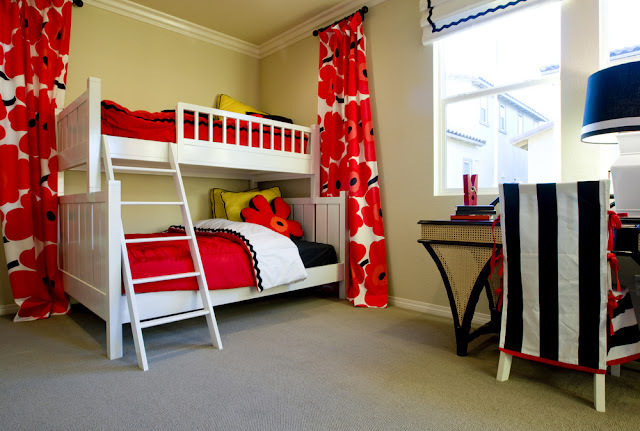 • You will need to also work on rooms that allow kids to move unimpeded as they go about their day. Ask some questions about potential design solutions so they can enjoy it. Kids will are shorter than grownups so that means you will have a great chance to use smaller and shorter pieces of furniture that would fit their size and needs more accurately.